The ingredient that will be on everyone’s list is called CONFIDENCE! It doesn’t really matter what your goals are. What it matters is that you see what you want clearly. To be honest with you, you can dream about your goals and see them clear as a day but if you don’t possess the skill of self-confidence, you will not be able to even scratch the surface of it. Yes, I have called self-confidence a skill on purpose and like all other skills that you can think off, it can be learned and perfected. Don’t worry if you don’t have it right away. If you are persistent enough, it will be yours. Well, luckily for you, this article will show you one method that will help you become confident 100%! That method is called MUAY THAI. What is Muay Thai and can it change your mind? For those of you who haven’t watched a single Muay Thai fight, or who don’t even know what Muay Thai is, to begin with, this section will explain it all. Muay Thai is a combat sport very similar to kickboxing. 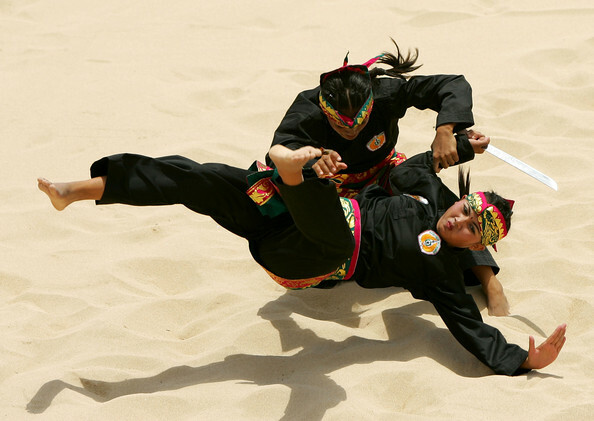 As you can see from the “Thai” part of its name, this martial art originates from Thailand. Muay Thai is their cultural martial art, to be exact. It was developed hundreds of years ago as a method that would serve the people for close combat. 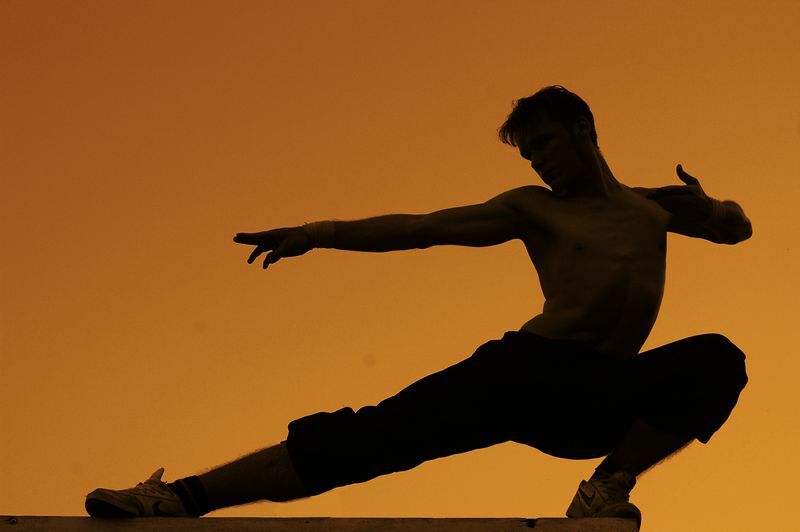 This martial art literally makes your entire body a weapon! But what is a weapon without a powerful mind? Can a weapon be lethal without the correct mindset behind it? No! That’s exactly why Muay Thai represents a deadly tool to the ones who use it the correct way. Actually, when you think of sports in general, all of them teach you how to control your thoughts or at least show you a method. 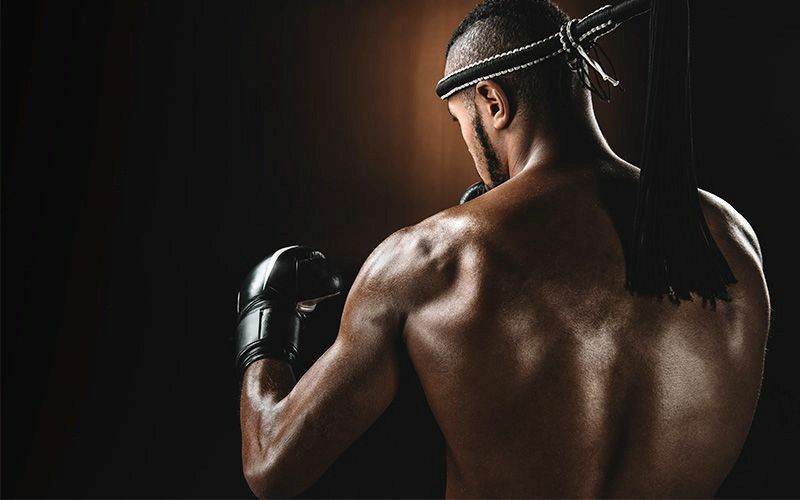 A strong mind is an inevitable part of competitive sports, especially when it comes to combat sports as those athletes are fighting for their lives inside that ring! So, how does Muay Thai, in particular, make you more confident? Is learning how to defend yourself connected to confidence? Well, this medical research claims that they are in a strong connection. Actually, it says that around 95% of children who learned how to defend themselves, have now changed their way of thinking and raised their self-esteem levels; and we are talking about kids! Imagine the impact it can have on a grown up. Come to think of it, of course, it makes sense. Low self-esteem can be visible in many forms. One of them is overthinking everything. That habit almost always leads to fear of, well, everything. Now, if you train and prepare for physical attacks, it will feel like you are preparing for anything that might come from the shadows which will definitely make your mind that much tougher. Let’s be honest here. Most people who have low self-esteem levels are ashamed of their bodies or at least have something that they consider a flaw. Whether that flaw is their weight, lack of muscle, bad posture, or something else, in their minds it sticks out and everyone judges them for it. Well, on your journey through the sport of Muay Thai, you will change your body and become the best version of yourself. You see, Muay Thai training sessions are hard, and if you make Muay Thai one of your priorities, those pieces of training will lead to a body you have always dreamed of. They simply have to! All that you need to do is take things seriously and be consistent. It goes without saying that a good looking body helps with confidence. You will look better, but most importantly, you will feel better. On top of that, you will feel better about YOURSELF and that alone will give you a phenomenal confidence boost! Once you start your Muay Thai journey, you will meet many different people who were most likely exactly like you, or still are! Being comfortable in social situations where there are more than 10 people in the room is not something that an unconfident person can do. With that being said, just after a few training sessions, you will feel that much better about yourself as you have survived the fact that you just shared a word or two with a complete stranger. Yes, to unconfident people it definitely feels like SURVIVING, and guess what… you will definitely survive! This almost seems like a confidence cheat code. 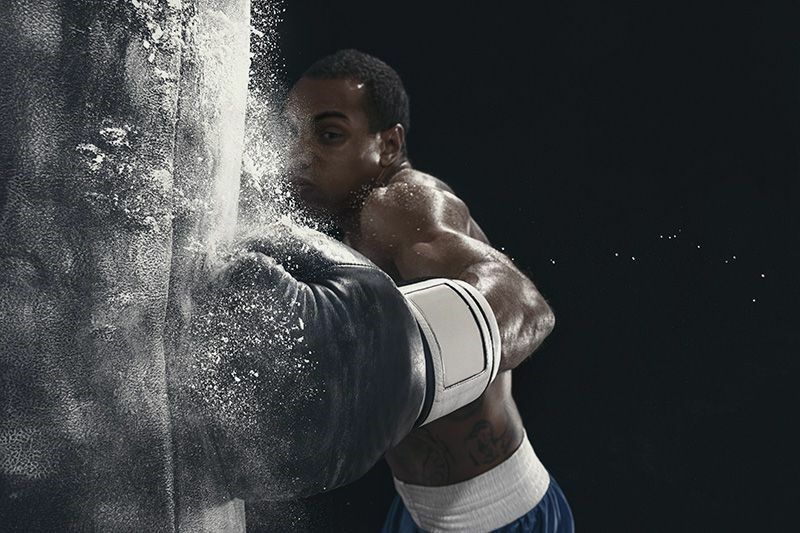 Muay Thai sparring sessions will teach you the art of performing under pressure. You will have eyes on you and you will be constantly forced to defend yourself as your partner will be coming right at you. This will create the “make it or break it” feeling. Of course, “breaking it” isn’t an option. At first, these will feel difficult but after some time you will get used to the pressure and get comfortable. This not only helps with Muay Thai training but it also helps with real life situations! 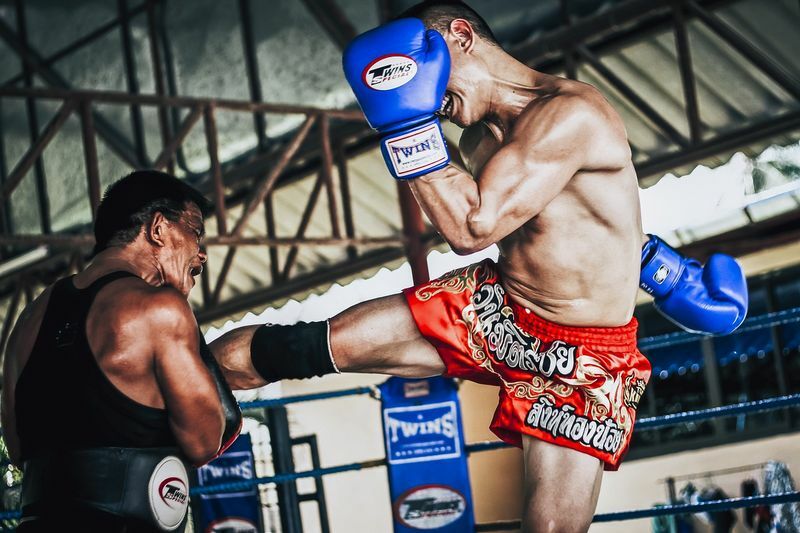 Hopefully, at the end of this article, you know the difference proper Muay Thai training can make to your mind and body. You can literally change your mind with it. So, why not start immediately? 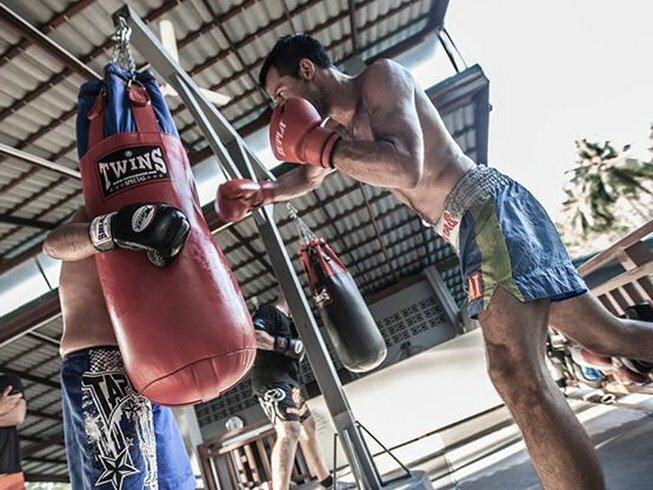 Are you having trouble finding a good Muay Thai training gym? Worry no more, we got you covered! As you can see, our site offers you many great options for you to choose from. One of them is the incredible opportunity to practice Muay Thai in Thailand, where it all began! Well, I hope this helped! All that is left now is for you to choose what suits you best! Want to take your chances with Muay Thai and see how it transforms you? Browse through over a hundred Muay Thai camps where you can learn directly from the experts. Tom Garland is a multi-layered fighter with 9 years of experience as a professional boxer. His passion and love for combat sports doesn’t end to boxing, but it expands into Muay Thai and MMA as well. He created extremestrikers.com where he helps fight fans get closer to combat sports.